We, humans, have an innate brain function to recognize humans. Therefore, very humanlike robots, androids, can be ideal information media for human-robot/computer interactions. In the near future, the use of humanlike robots will increase. To realize a robot society, the speaker has developed various types of interactive robots and androids. Geminoid, a tele-operated android of an existing person can transmit the presence of the operator to the distant place. However, the geminoid is not the ideal medium for everybody. People enjoy talking to Telenoids. In this talk, the speaker discusses the design principles for the robots and their effects on conversations with humans. Hiroshi Ishiguro received a D.Eng. in systems engineering from the Osaka University, Japan in 1991. He is currently Professor in the Department of Systems Innovation at the Graduate School of Engineering Science at Osaka University (2009-) and Distinguished Professor of Osaka University (2013-). 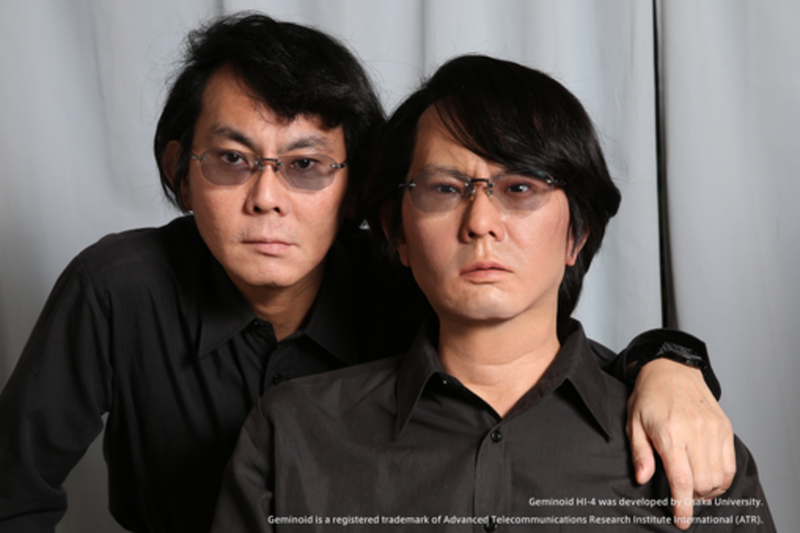 He is also Visiting Director (2014-) (group leader: 2002-2013) of Hiroshi Ishiguro Laboratories at the Advanced Telecommunications Research Institute and an ATR fellow. He was previously an Associate Professor (1998–2000) in the Department of Social Informatics at Kyoto University. He was also Visiting Scholar (1998–1999) at the University of California, San Diego, USA. He then moved to the Department of Adaptive Machine Systems in the Graduate School of Engineering at Osaka University as a Professor (2002-2009). His research interests include distributed sensor systems, interactive robotics, and android science.